TOM MATO IOS STICKERS ARE HERE! CLICK HERE for your free Download! You've seen the Matos and now is your chance to be creative and color the Mato family! 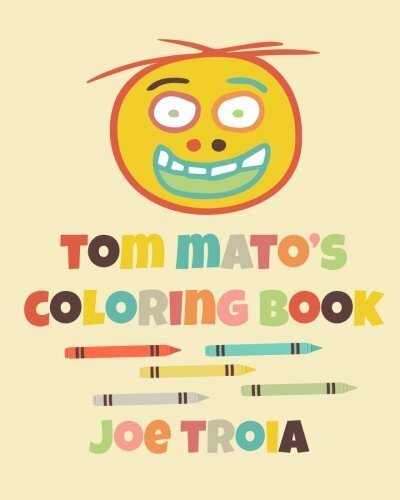 "Tom Mato's Coloring Book" is a coloring book that includes everyone in the Tom Mato Family! Let your imagination run wild! Welcome to Tom-Mato.com! 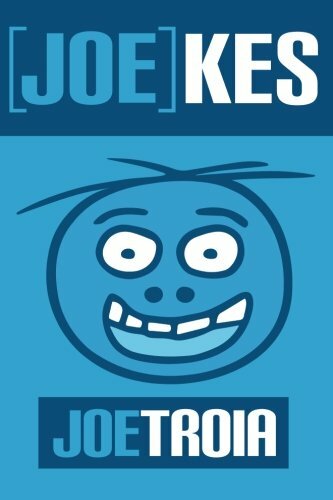 Tom-Mato.com is the home of [JOE]KES, a joke book I started writing back in 2013. The book is full of puns, illustration to fit the puns, and more puns! Now, the big question, why Tom-Mato.com? Well quick answer, joekes.com was already taken. A quicker answer, joekes.com taken. The long answer, I originally went to get joekes.com but someone owns it, and they are not even using it. They just have it, so they can sell it. The owner wanted $4,000 for the site... Screw that. Tommato.com was taken too, same thing, no one actually uses it. I went with Tom-mato.com because, well, the guy on the cover, the mascot of the book, his name is Tom Mato. Tom Mato has a group of friends, like his wife Tam, cousin Poe Tato, and friends like Michael J., Penny Gwen, and even Murray, a Vegan Zombie! Each Mato has its own backstory that will be shared in the future. But for now, check out [JOE]KES! You will find at least 5 of the Joekes funny! If you have Amazon prime, you get the book with free shipping, plus you get a free little box, or yellow bag, that comes with the book! Worst case scenario is you hate the book, or dont understand any of the jokes, which some you may not, email me, at Jtroia@tom-mato.com and I'll explain them to you. But anyway, lets say you hate the book, use it as a coaster. The average price for a coster like $4 anyway, for another $6 you also get a coloring book! All the images are in black and white, so get some crayons and color away! Steve Jobs never made Uturns, he only made iTurns.